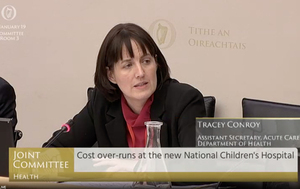 The committee heard that, last August, the National Paediatric Hospital Development Board warned the Department of Health and Minister for Health Simon Harris that the cost of the National Children’s Hospital could top a billion euro. 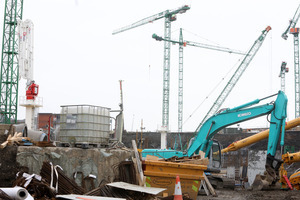 Last month The Irish Times reported the total cost for developing the facility at St James’s Hospital was expected to be more than €1.73 billion. 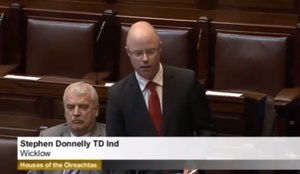 Fianna Fáil TD Stephen Donnelly pointed out that Irish taxpayers will pay over twice as much per bed at the NCH as the two most expensive hospitals ever built in the world. Mr Donnelly repeatedly asked Ms Conroy if she believed this represents a “catastrophic failure of management”. Eventually, Ms Conroy said “I don’t”. Watch the exchange here from 35.35. 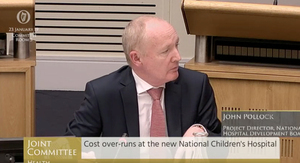 On @RTENewsAtOne, Claire Byrne says the €200m raised by the Govt through the sale of the National Lottery in 2011, and earmarked for the construction of the new children's hospital, will now only "pay for a couple of windows at this stage". 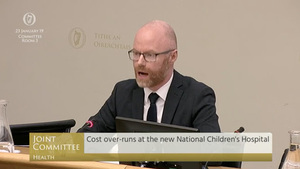 Posted in Misc and tagged health committee, National Children's Hospital, Stephen Donnelly at 1:46 pm on January 23, 2019 by Bodger. I wouldn’t mind hearing Leather Jacket Guy’s take on this scandal. I hope you all see them for what they are people?… The same fupping party!… Private foreign corporate globalised capital interests. Fupping bankers robbing you blind…. 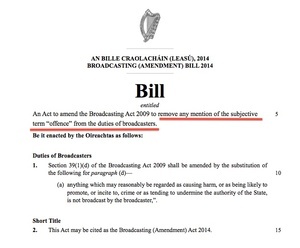 Disgraceful, immoral, sack them all… etc. etc. etc. etc. Don’t be fooled by the other half of the ff/fg party(as per usual) and their fake outrage and demands of an investigation. The fake fall guys who will get remunerated are already lined up to distract you with the same three-card monty trick going on right in front of your face, over and over, again and again and again…. If you keep voting for the ff/fg establishment for private foreign global financial interests party and against your own self interests and the interests of Irish citizens as a whole then it is you who is to blame not them You are the ignorant voter. Vote for a local independent and stop jumping on the bandwagon of corrupt, fake left vs right tribalised morality. “Oh dear, I wish I could do something but I’m just little auld me with no power or responsibility” and “It’s so boring watching this happen every few years but that’s the way it is so I don’t even care anymore”, are not solutions to all the various the problems going on. It is your responsibility. When I was a construction buyer something I always insisted on was that sub contractors pay for their own consumables. eg. groundworkers were going through far more concrete than could possibly fit in all the trenches they’d dug. Then we made them supply the concrete. Consumption went down 65%. Make someone accountable, with something to lose if you want cost effectiveness. for 1.5 billion you could build one of those big robot arm, 3D printer yokes and bang out as many hospitals as you want. Its all about privatization Mick, its what neo liberals live for.